Come to Warrington’s Favourite Car Boot Sale and make some money from your unwanted items? We are open every Sunday and bank holiday until Christmas. 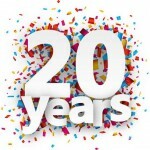 Warrington car boot celebrates 20 years this year come and down and join us.